I taught all of his brothers. 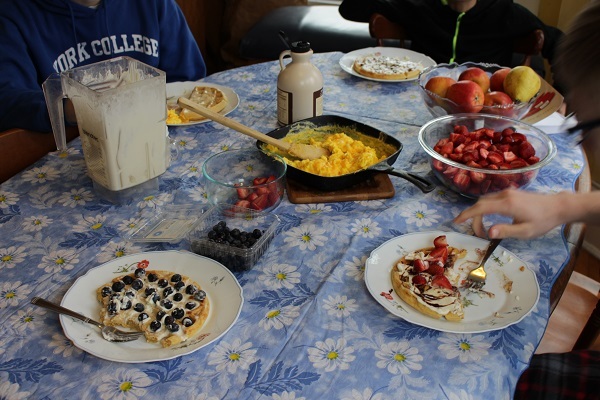 It was well worth the effort as now our 14, 17, 19, and 21-year-old sons are quite proficient in the kitchen. 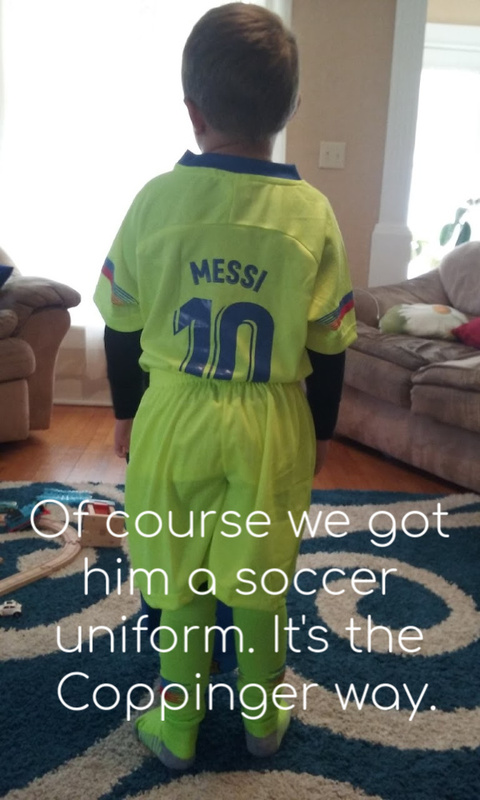 It only makes sense then that we would take our 5-year old Bonus Boy into the kitchen and start teaching him to cook. 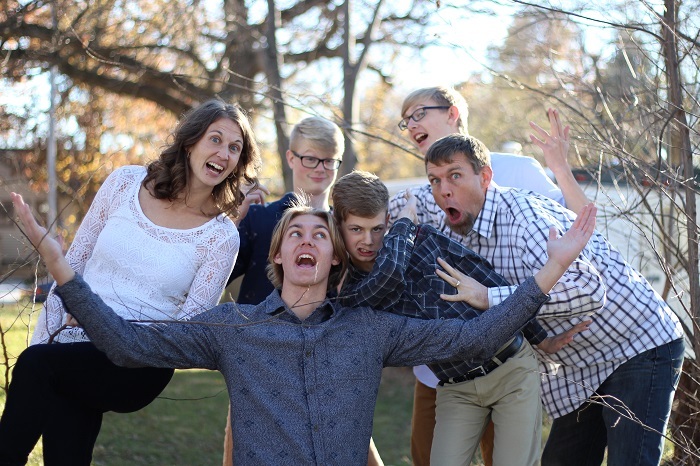 About the time I started counting down to the empty nest years, as I joyfully started to say “that’s the last time I’ll ever need to XYZ for one of my kids,” while I was beginning to eagerly look into the very near future of life with no more intense parenting requirements, God showed me that He clearly had other, better plans. 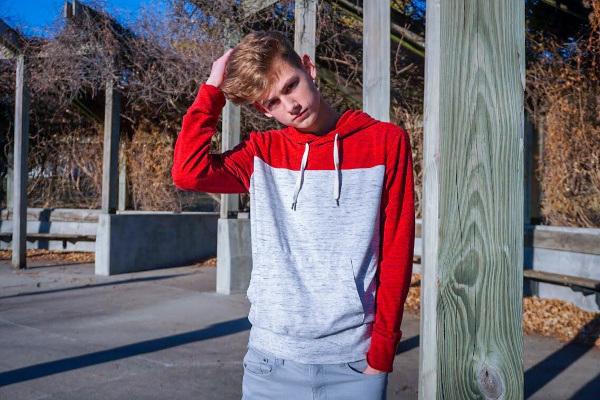 He provided for us a Bonus Boy. This one with chocolate brown eyes and a giggle that fills our entire house with laughter. 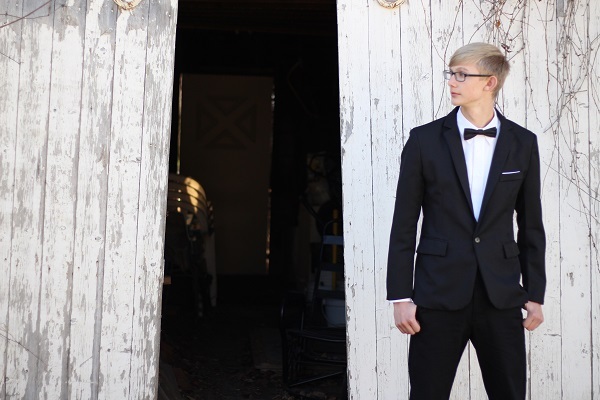 I’m learning to balance the needs of my adult and teen children with the needs of a little one. I find myself juggling two seasons at once, paying college bills with one hand while wiping a nose with the other. 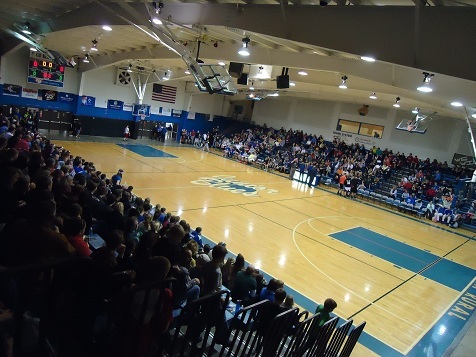 Somewhere in there, I’m squeezing in Government and History lessons with my high school and middle school aged sons. Once again, I have found myself pulling up the stool in the kitchen for the little guy, showing him how to crack eggs without getting it all over the…oops. Too late. Let’s clean it up and try again. 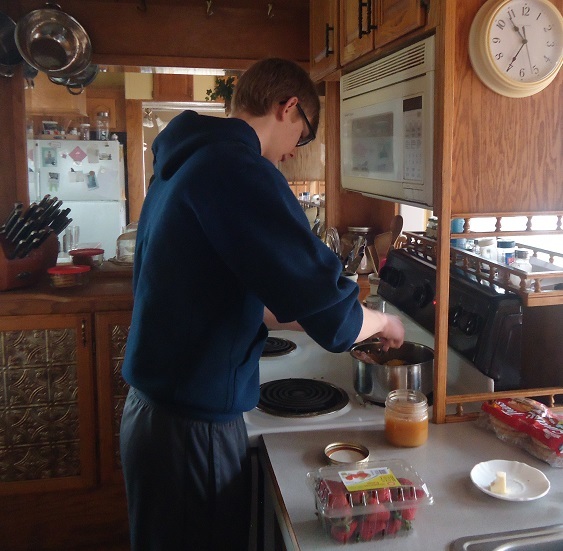 Meanwhile, my high schooler is scrambling his own eggs over at the stove. He used to be the one smashing eggs onto the countertop. 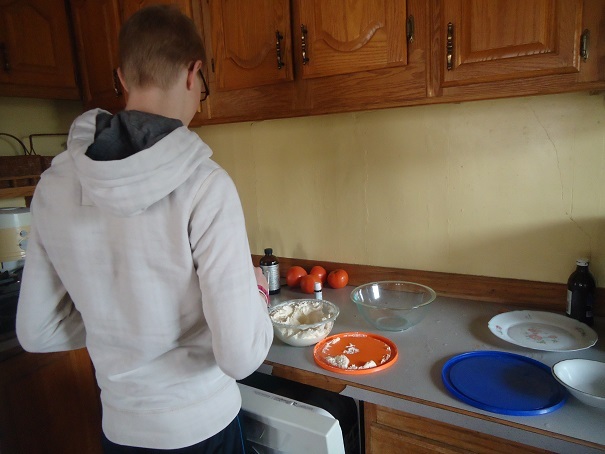 Now he is capable and resourceful – and if I need him to, he’ll make an entire meal for the family. I know this will be the outcome for our newest one too. 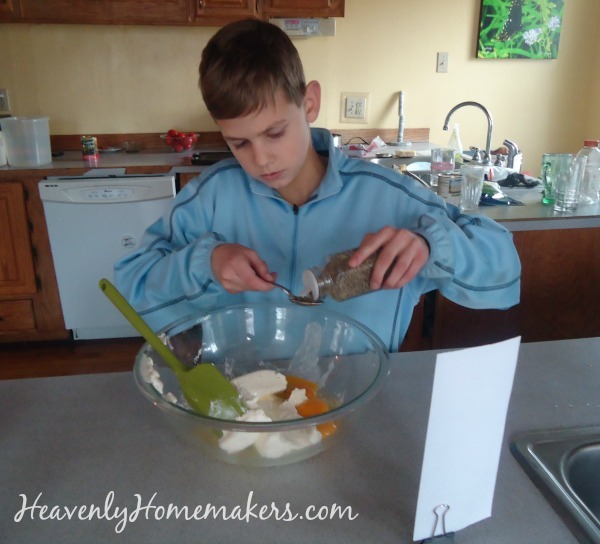 So I patiently clean up the egg slime with Bonus Boy and we practice again cracking an egg without making a mess. 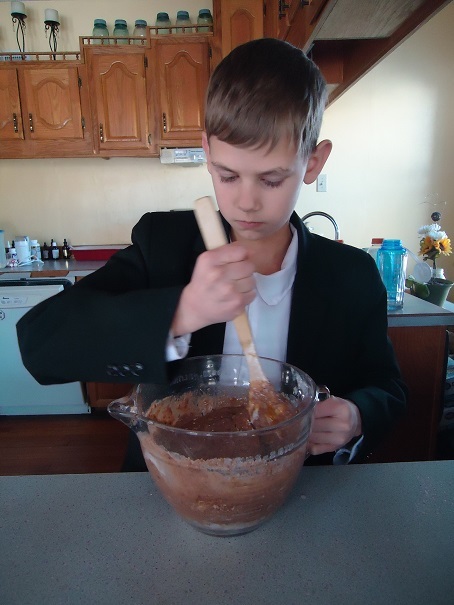 I show him (again) how to stir the muffin batter without flinging the…oops. Let’s clean up the flour mess on the countertop and try again. The messes? They are worth it. 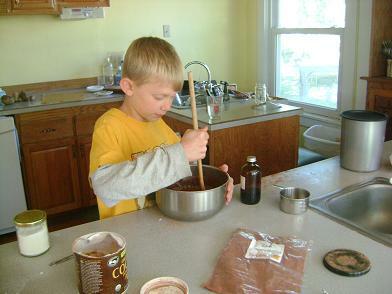 The effort and time and energy it takes to teach a child how to cook? My adult and teen sons prove that it absolutely is all worth it. 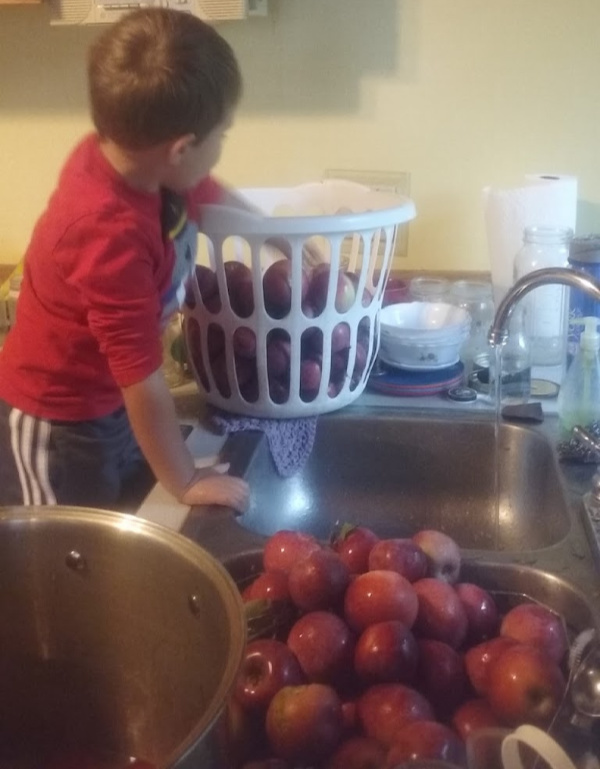 Here’s our Bonus Boy, getting in on the Homemade Applesauce action last fall! I never thought I’d again be teaching a little one to cook, but well, never say never. God’s plans are much bigger, much wiser, and much better than ours. My chocolate-eyed boy proves this to me daily, filling me with wonder at what else God has in the works. I’ve said it many times but I’ll say it again: Teach your kids to cook. 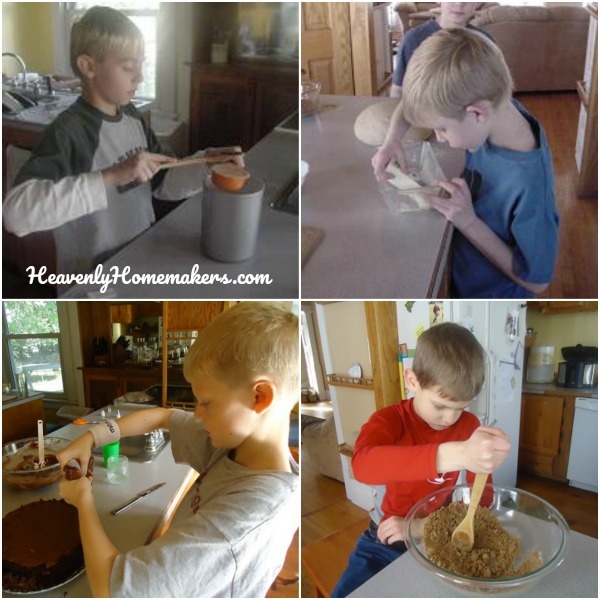 Even if it’s just the basics, give them the know-how they need to be comfortable in the kitchen. It’s good for them, but it’s even BETTER FOR YOU!!! With all the major changes in our lives (fostering and adopting kids! ), if my big kids didn’t know how to cook, there would be days we would be scrambling to eat because my time is so limited right now. Need some resources to help you know where to start? 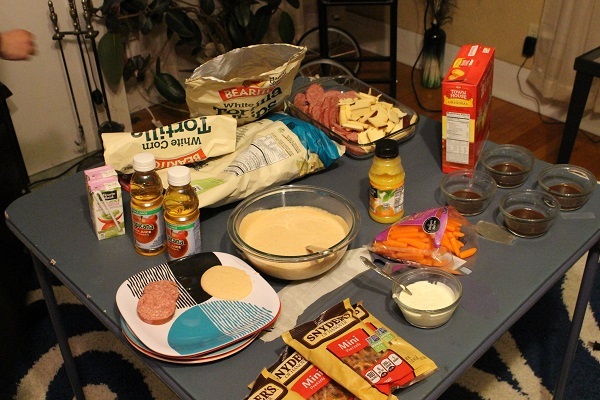 We have this great eCookbook package that is a huge help! 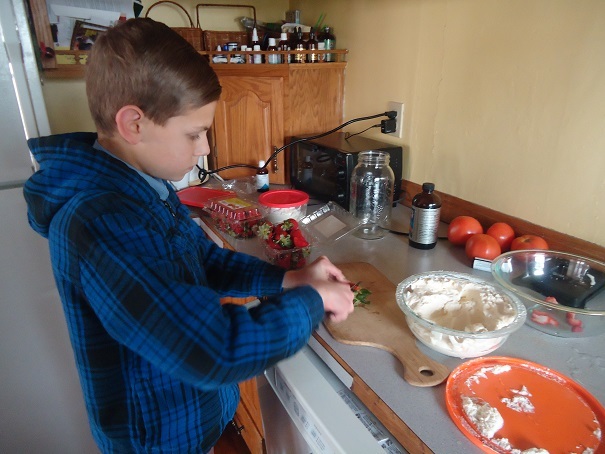 Better yet, I highly recommend this incredible Kids Cook Real Food eCourse! 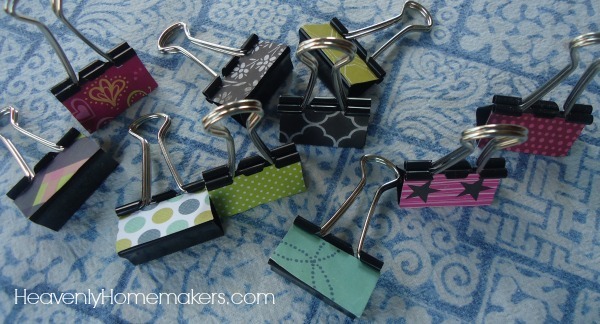 We used it with Malachi and it was a lifesaver! As soon as I’m able, I’ll share more details about how God has brought us to this surprising and beautiful time in our lives. My writing time is extremely limited now, and for some very sweet and tiny reasons. Whatever you do, don’t make plans. God makes plans. We simply get to learn to trust and obey Him as we walk our daily journey with Him! 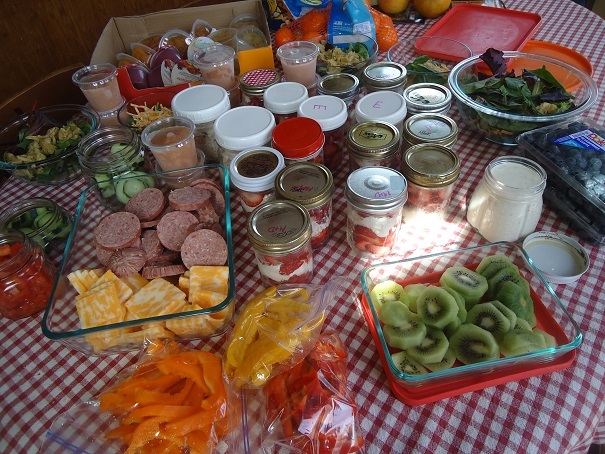 One of the best things you can do this summer is get your kids in the kitchen. We decided to give you a little incentive in the form of a gorgeous pile of fun recipe books! These books would cost $32 if you were to buy them individually. But we decided to give you the entire collection for just $20! 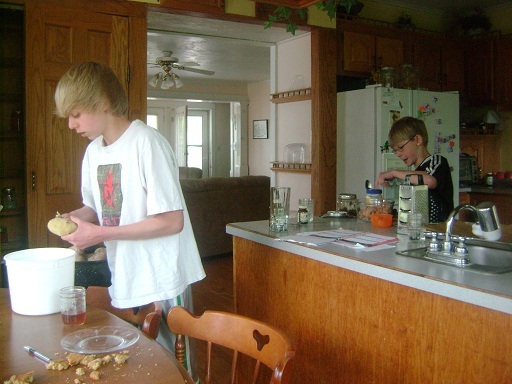 Now that my kids are 21, 18, 16, and 14 I cannot tell you how invaluable it is that they all know how to cook. Our kids MUST learn how to take care of themselves, feed themselves, and work hard. 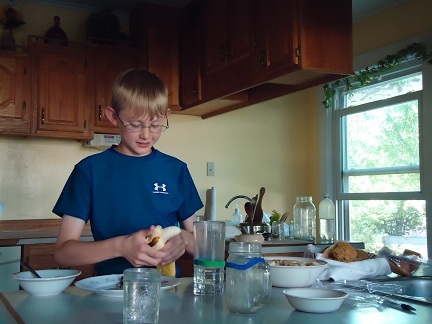 It is a tremendous gift that my kids are so capable in the kitchen. As an added bonus, my sons are all capable to provide their mother with chocolate as the need arises. 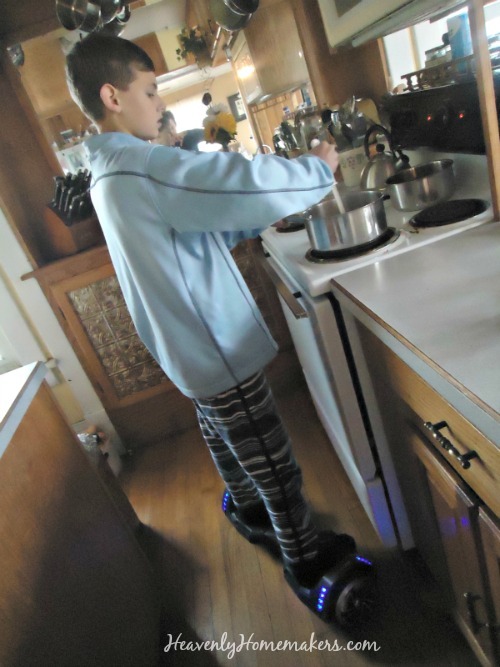 No matter the ages of your kids, you’ve got to pull them into the kitchen with you. Not sure where to start or what to do? That’s what this fun eBook package is for! 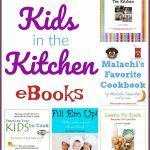 What to Do with the Kids in The Kitchen = One of the first eBooks we put together here. 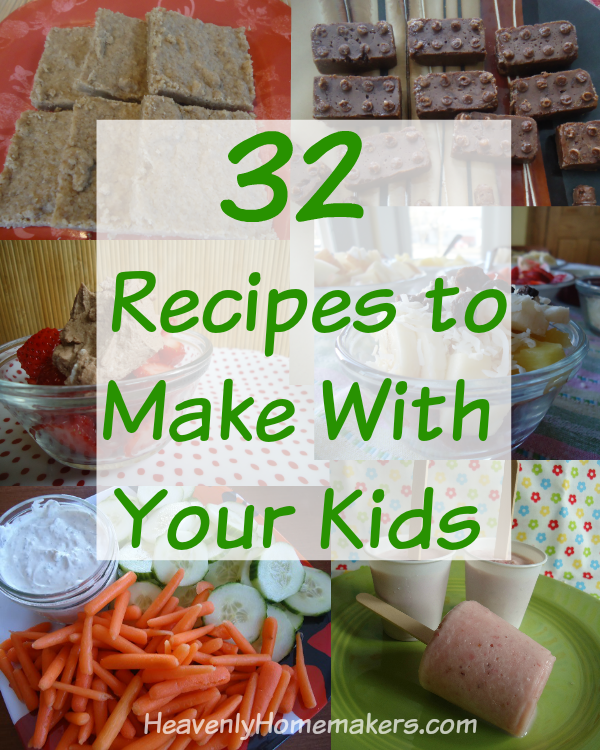 It includes 18 super simple, super fun and kid friendly recipes. 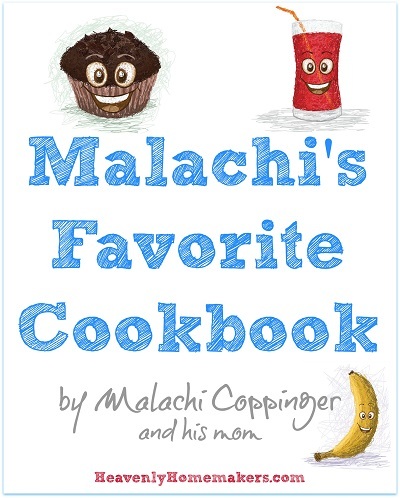 Malachi’s Favorite Cookbook = This one includes 17 of our son Malachi’s favorite recipes to make by himself. 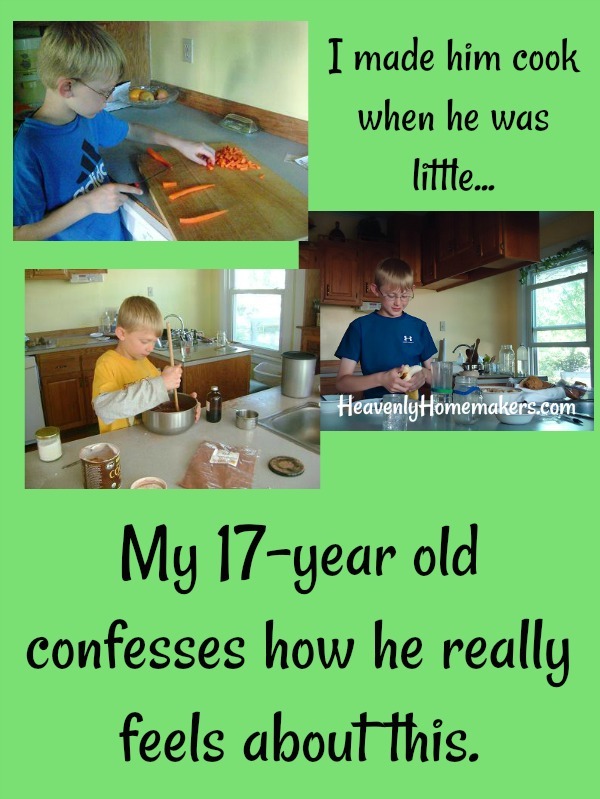 He helped me write this cookbook while he was learning how to cook a few years ago. 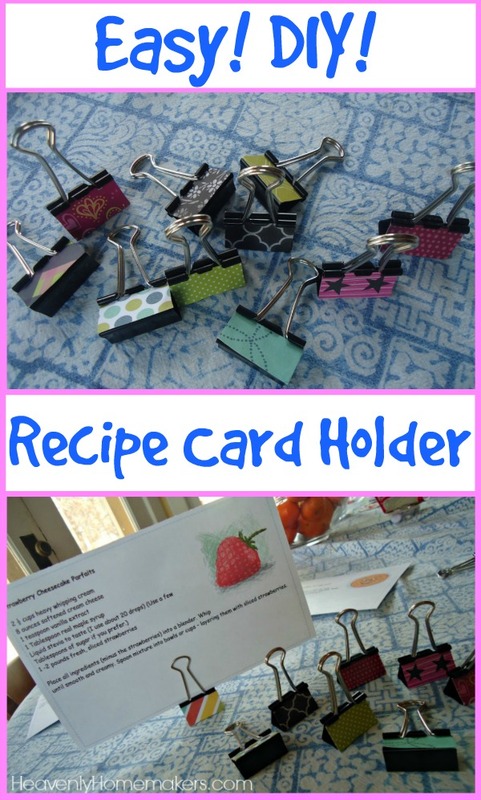 These recipes can be read in cookbook form or can be printed to be used in recipe card form, which makes it extra fun! 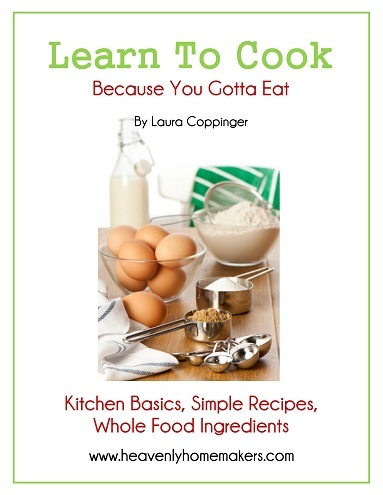 Learn to Cook = A book that can be handed to older kids (ages 8 and up) so they can read and practice and learn to cook independently! And would you believe, this book also contains 55 easy recipes that kids love? 55!!! Fill ’em Up! = This one is unique and we love it! 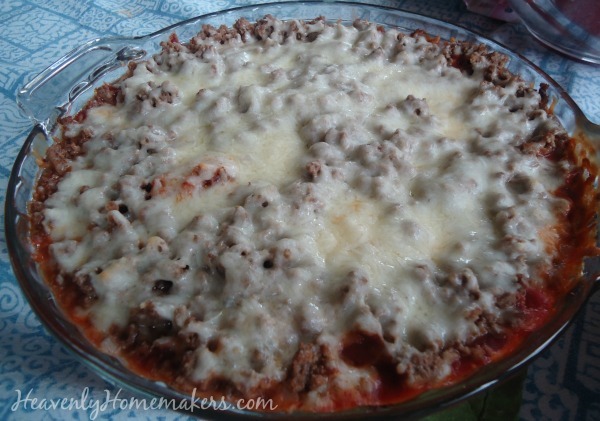 It contains 7 recipes to use within 7 Bible lessons. 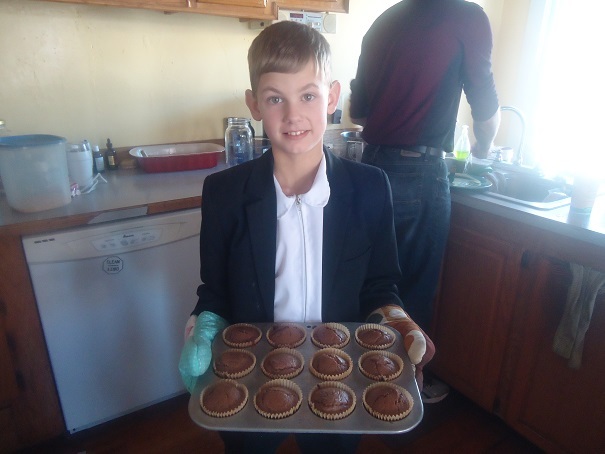 The recipes have spiritual applications to go with them – so as you’re cooking, you are talking about scripture with your kids. The lessons apply to kids ages 4-18, providing great family devotional time with a practical purpose! 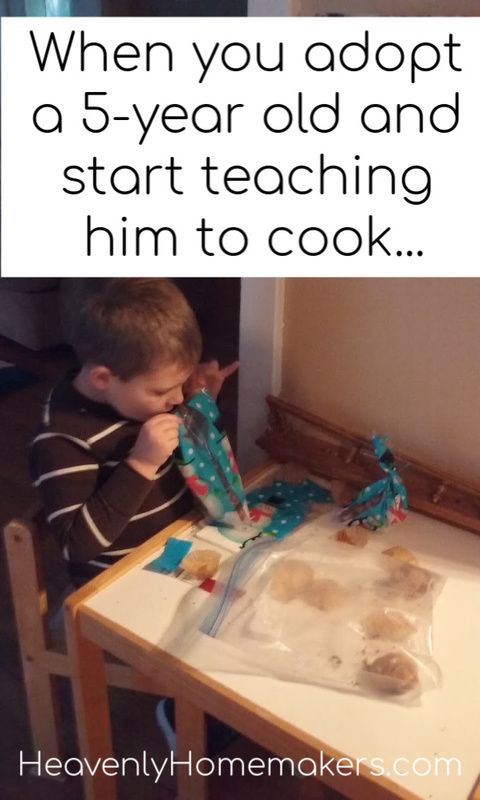 Teaching Your Kids to Cook = This is a favorite because you can use this to guide you through teaching your little ones to cook – beginning at age 2! 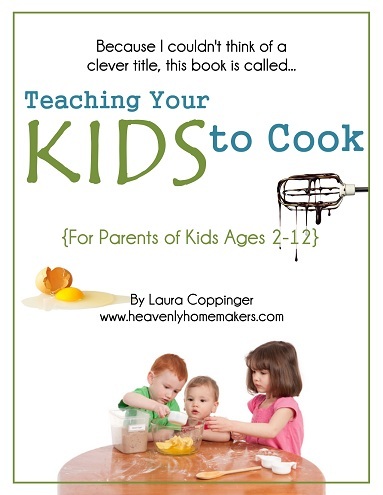 This book includes games and activities to do in the kitchen with your young ones. 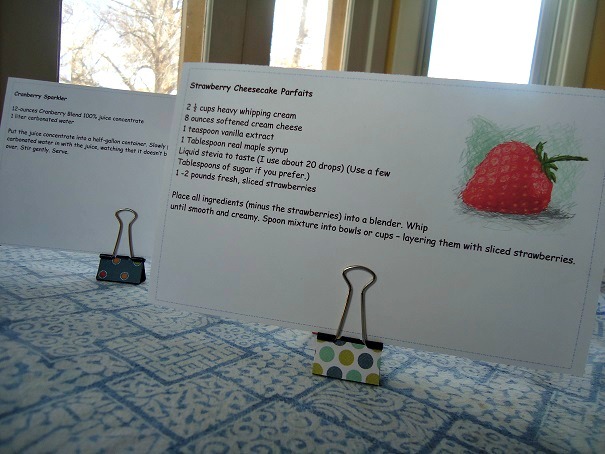 And even better, it includes 48 kid friendly recipes to make with your kids as they are learning. 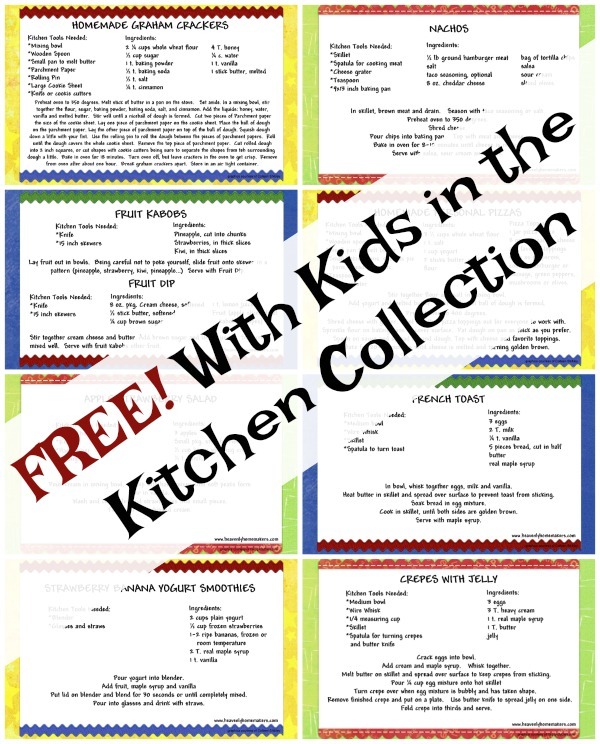 Get all 5 Kids in the Kitchen eBooks right now for just $20! 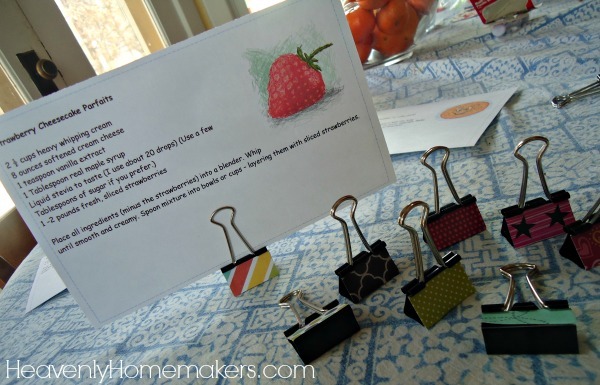 Want a Kids in the Kitchen freebie for added incentive? 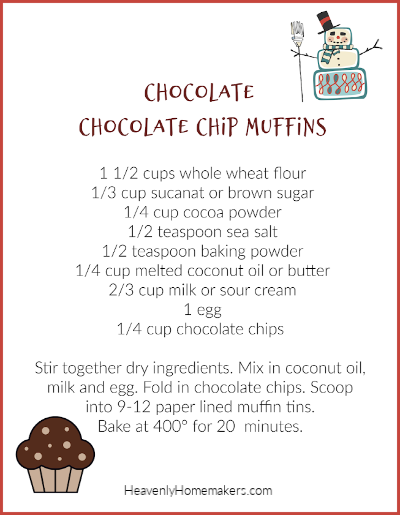 Get this set of gorgeous Kids in the Kitchen printable recipe cards with your purchase of this Kids in the Kitchen eBook package! Seriously? 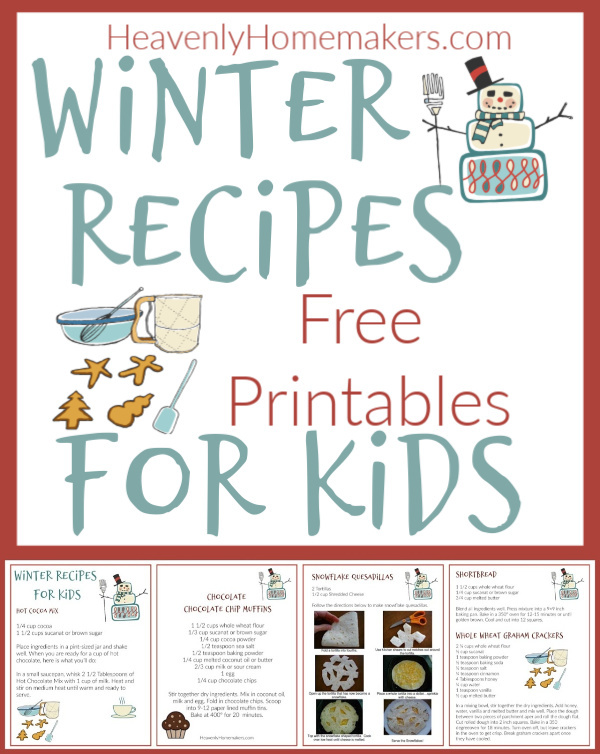 Get 5 great cookbooks for just $20, plus get free printable recipe cards? AND YOUR KIDS LEARN TO COOK??? ?